It’s not a secret by now that Chicago is one of my favorite cities, if not my favorite city, in the States. Summertime Chi is enough to make you pack up your bags and relocate to the Windy City. 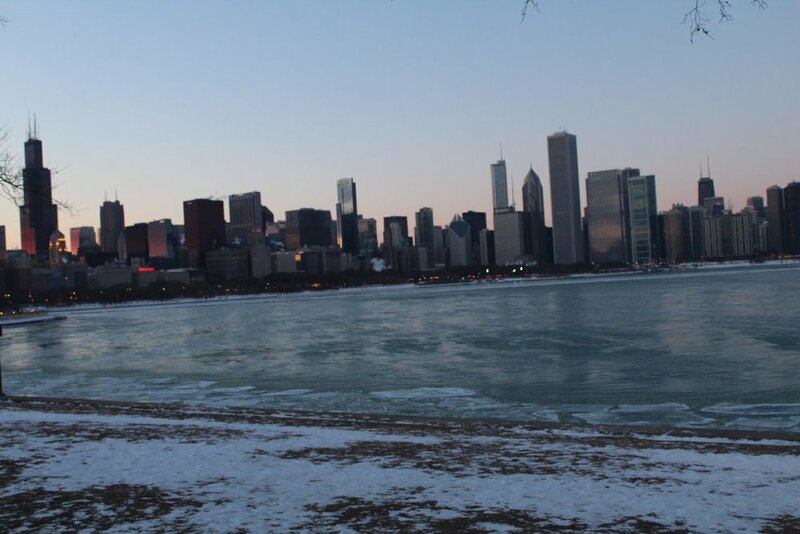 But even though I’ve been to Chicago a handful of times, I had never been in the Winter, until I decided it would be a brilliant idea to bring in my NYE in this city notorious for its harsh winters with negative temperatures. Me: Do I need to wear long johns and fleece tights at the same time? Me: Are you going to help me decide the best way to tie my scarf? Me: Do you think I need to go and get a ski mask? I’ve been to New York in the Winter, but that’s honestly where my experience with extreme cold weather temperatures comes to an end. And I can remember being so cold my first night in NY that I refused to leave the warmth of my cousin’s apartment. 110 degree weather, I have experience for days, but sleet and snow are outside of my realm of expertise. There are a million ways to enjoy Chicago in the summertime. The weather is perfect, the festivals are in full swing, and the rooftop bars become every liquor connoisseurs playground. But what do you do when the temperature creeps into the negative, when it’s no longer fun to be an outdoor tourist, and when you’re in one of your favorite cities in the world?!? Click here to get your Chicago City Pass for discounts to some of the most popular Chicago attractions. Thanksgiving, Christmas, and New Years are my favorite holidays, making winter and fall my favorite seasons to indulge in holiday activities. Whether you go to ZooLights at Lincoln Park Zoo, see a Charlie Brown Christmas at the Broadway Playhouse, or visit the Magnificent Mile Light Festival, there is plenty to do for holiday enthusiast like myself. Eat like you’re trying to gain a layer of flubber. When it comes to food, Chicago is one of my favorite cities to restaurant hop and live the foodie life. This trip, I had the opportunity to enjoy some of Chicago’s best food outside of the ritzy and touristy areas. 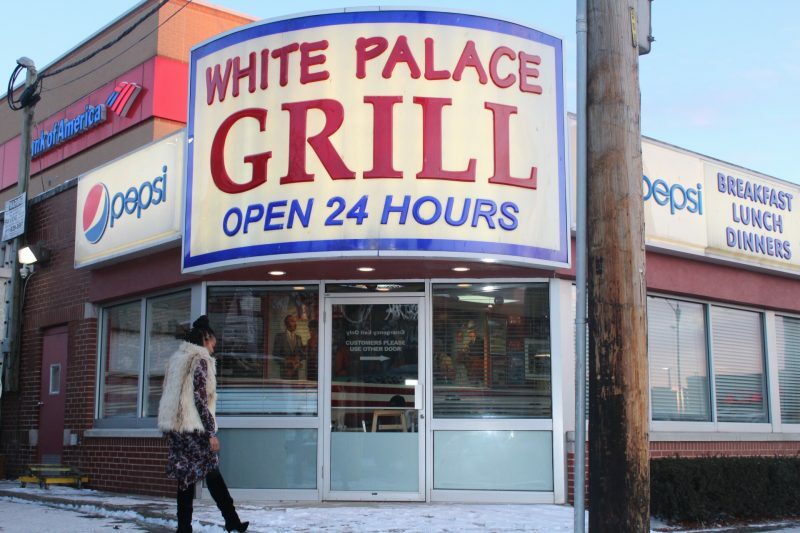 From the beef tips that I enjoyed at Wiley’s to the fried hot polish from Maxwells , I know that I put on a extra four or five pounds during my trip. I will just say that I needed the extra weight to battle the freezing temperatures. You can venture out on your own or take a food tour. Warm up with a cup of steamy hot chocolate. There’s nothing like enjoying a warm, steamy mug of hot cocoa to escape from the frigid temperatures. Get on Trip Advisor and find the nearest highly ranked carrier in your area and forget it’s windy and below zero. While many tourists know to visit the Art Institute Museum, Chicago is home to many other museums like the Field Museum or Museum of Contemporary Art. Get a Chicago Explorer pass and escape the frigid temperatures to stimulate your artistic creativity. Whether it’s the Chicago Bulls, Bears, Cubs, White Sox etc, Chicago is the perfect city for sports fans. And if you like hockey, don’t forget to go and visit the all-new Black Hawks stadium. Take a self-led tour of filming locations. There have been many popular movies and TV shows filmed in Chicago. Since I’m a Batman fanatic, this is right up my alley. You can click here to track down some of Chicago’s most popular shot locations. Shop at the new Jordan store.